There’s a train about to hit the California State University system. Last year, without any genuine consultation with the faculty who teach these courses, the Chancellor’s Office decided to impose radical changes on the General Education program with Executive Order 1100. This year, the CSU’s Academic Senate, after two years deliberation, issued its own recommendations for revising the General Education program. While the Chancellor’s Office hid its intentions behind high-sounding rhetoric, the Academic Senate report was quite open about its goals: “Decrease the total number of units devoted to GE.” In other words, shrink the program into a ghost of its former self. This may not sound exciting. God knows, both proposals are a farrago of jargon and an alphabet soup of sub-categories (e.g., three courses in something called “cross-cutting values”). But the changes cut to the heart of what a university education means. They threaten to erode civic education and diminish the worth of a CSU degree, thereby further weakening public trust in higher education. Let’s look at the humanities requirement. Pre-executive order, students had to take four courses chosen from five areas: literature, art, history, philosophy and religious studies, and foreign languages. Post-EO, the number goes down to three courses in arts and humanities (including literature, philosophy, and languages other than English). 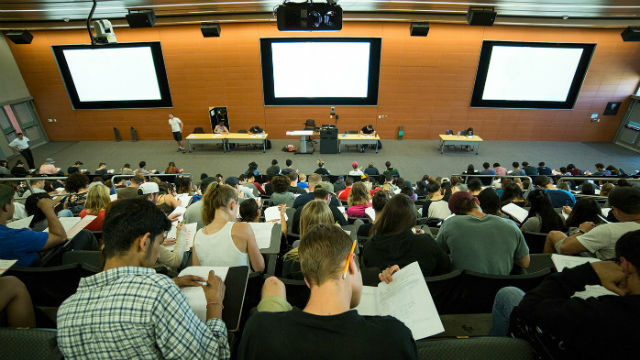 Aside from kneecapping the College of Arts and Letters (still the largest college at SDSU) by significantly cutting back on the number of students taking classes, the proposal makes it possible, even likely, that students will graduate from SDSU without having taken a single class in history, philosophy, literature, or religious studies. Why would we want to cut down on the number of classes, such as Introduction to Literature, encouraging students to see the world from multiple perspectives? Even more indefensible, and even dangerous, is the reduction in the “American Institutions” requirement. By law, students are required “acquire knowledge and skills that will help them to comprehend the workings of American democracy and of the society in which they live.” Each campus must provide for the “comprehensive study of American history and American government” (my emphasis). But what do the Chancellor’s Office and the Academic Senate suggest? Cutting in half the requirement that students take two courses in American history and government. And this is on top of the executive order’s evisceration of the world history program. Overall, Americans do not know the basics of the American civil society. A recent survey by the Woodrow Wilson Foundation showed that two-thirds of the respondents could not pass the U.S. citizenship exam. Meaning, they could not answer such questions as: what are the original colonies? Name the three branches of government? How long does a senator serve? Astonishingly, only 13 percent of Americans know when the Constitution was ratified. Six in ten don’t know who America fought in World War 2. Less than a quarter know the reasons for the American Revolution. These are the results of an anonymous survey. But whenever I ask my students these questions, I’m usually faced with blank stares. They cannot name a Supreme Court Justice or who represents them in Congress. Given this massive ignorance, in what universe is it a good idea to reduce the number of required courses on American history and government? How does going from two courses to one course fulfill the legal requirement to provide a “comprehensive” study of American history and government? The right to vote is under attack throughout the United States, so shouldn’t students be given as much information as possible about the importance of voting and the dangers of voter suppression? Why is the CSU doing this? Why at a time when fewer and fewer Americans understand the basics of our society would they want to cut down the number of courses on American history? Why at a time when ignorance seems to be growing would the CSU want to reduce the number of courses exposing students to multiple points of view? Given the rise of white nationalism and xenophobia, wouldn’t courses that combat toxic ideologies be a good idea? The stated reason—to speed up graduation rates—doesn’t really convince, as the rates have significantly gone up in recent years without shrinking the general education requirements. In fact, the CSU just awarded a record number of bachelor’s degrees last year. So what’s behind this push to reduce GE? It’s hard not to see this move as part of a redefinition of university education toward vocational training exclusively. Nobody would say that a bachelor’s degree shouldn’t prepare students for life beyond college. But until recently, most would have agreed that such preparation included acquiring a basic knowledge of both the humanities and the sciences. An educated person should have a working knowledge of the major works of literature, the basic tenets of different religions, how American government works, and the physical laws governing the universe. But that seems to have gone by the wayside. Instead, the Chancellor’s Office wants to move the CSU more towards becoming a vocational school. Any course that doesn’t fulfill the major’s requirements isn’t important, never mind that students will be graduating with only a cursory glance at American history, etc. But these proposals are actually self-defeating because they hollow out the CSU degree. Granted, students will likely graduate more quickly than they did before, but what will they be graduating with? What will the degree be worth when students don’t know about the world they live in? The general education proposals dilute rather than build education. 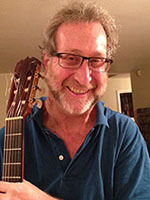 Peter C. Herman is a professor of English Literature at San Diego State University. He works on Shakespeare, Milton, and the literature of terrorism. He is the editor of the recent book Critical Concepts: Terrorism and Literature.